The JHN Lifestyles Freedom 3 Person Sauna exudes style and luxury. It is available in both hemlock and cedar. 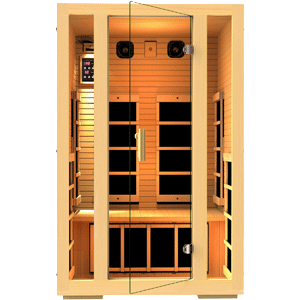 The hemlock model is one of the best deals available in the home sauna market, while the cedar has a great luxury feel and the classic cedar scent. 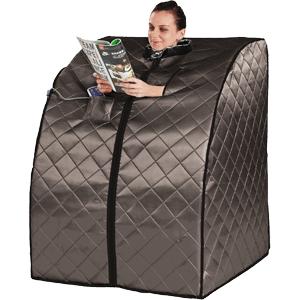 Are you looking to add a little luxury to your home with a 3 person sauna? There are certainly many great options, but sorting through the myriad of models can be a bit overwhelming. In this article we aim to make the hunt for the perfect home sauna easier. Lets start by discussing some aspects to keep in mind for determining the best sauna for your home, and then compare some of the highest rated 3 person saunas. One of the first considerations to keep in mind when shopping for a 3 person sauna is size. Many models are rather sizable, often measuring around 5 feet wide by 3 feet deep, so you have to make sure you have sufficient space in your home in order to accommodate such a large appliance. Another aspect that can help you decide which model is right for your home is the sauna’s construction material. Many models are made of either cedar or hemlock wood. Hemlock has a great strength to weight ratio and is scent-free and hypoallergenic, making it a popular choice for affordable saunas. Cedar is a more expensive wood and also the traditional wood of choice for saunas, with a rich brown-red color and a faint cedar scent that many people love. 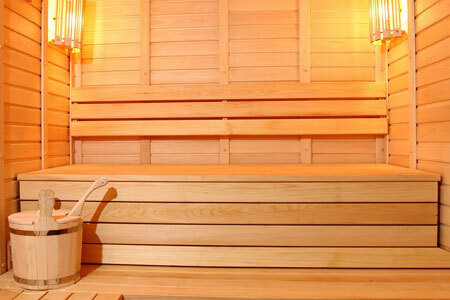 You may want to confirm that no plywood or chemically treated wood was used in the construction of your sauna. Checking that the materials for your sauna were responsibly sourced is another aspect worth noting, and many brands have certifications for their wood material that outlines these factors. Then of course there are perks with certain models that can make your sauna sessions even better. 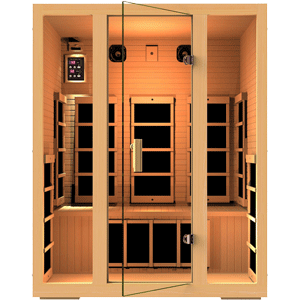 These perks can include digital control panels for the temperature and duration of sauna use, built-in speakers, built-in lighting, backrests, or chromotherapy lighting. With these things in mind we’ve made a comparison table of some of the best 3 person sauna options available on the market today. Continue reading beneath the table for more details on some of the most popular models. Hopefully the comparison chart above is useful in getting a quick sense of the variety of 3 person sauna options. Below we’ll highlight a couple of the most popular models and go into more detail about the features of each. JHN makes some remarkably elegant home saunas, and the JNH Lifestyles Freedom 3 Person Canadian Western Red Cedar Wood Far Infrared Sauna fits perfectly into that trend. This red cedar sauna is a visual stunner! 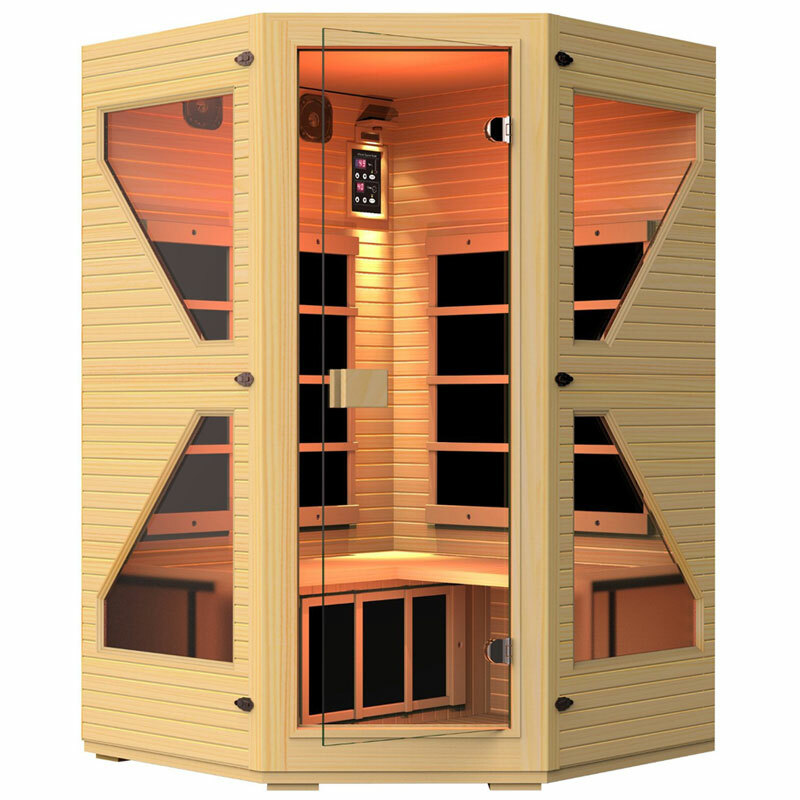 This sauna makes use of 8 ETL approved carbon fiber far infrared heaters. The heaters are strategically located at the back, side, and calf areas of the sauna to maximize the heating area. It can reach a maximum heat of 140 degrees Fahrenheit. The construction is of double layer tongue and groove Canadian Western Cedar, which provides wonderful insulation. The wood construction has no chemicals added and also uses no plywood. It is also FSC Certified “Green” Wood. Its door is made of safety glass that is designed withstand high heat. 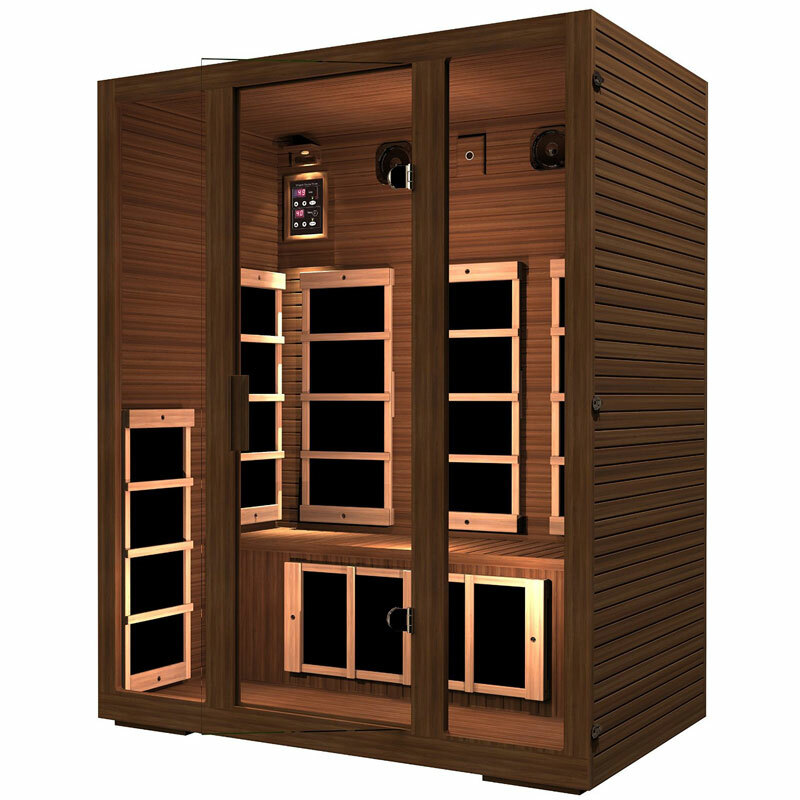 It has a sleek digital control panel for setting the temperature and duration of your sauna sessions. It also features a built-in AUX control and 2 premium speakers to give you the option of adding a soundtrack to your sauna experience. This model measures 59.1″ wide by 39.4″ deep by 75″ high. 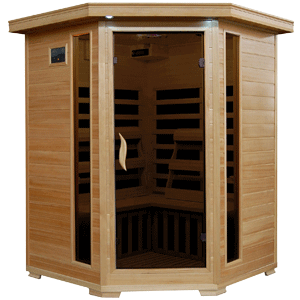 The JHN Lifestyles NE4CHB1 is a 2 to 3 person sauna that is sauna designed to fit into corners. This is a good option for those looking to fit their sauna into a more snug space. Its back wall is 47.2″ wide, its side walls are 27.5″ wide, and it is 75″ high. 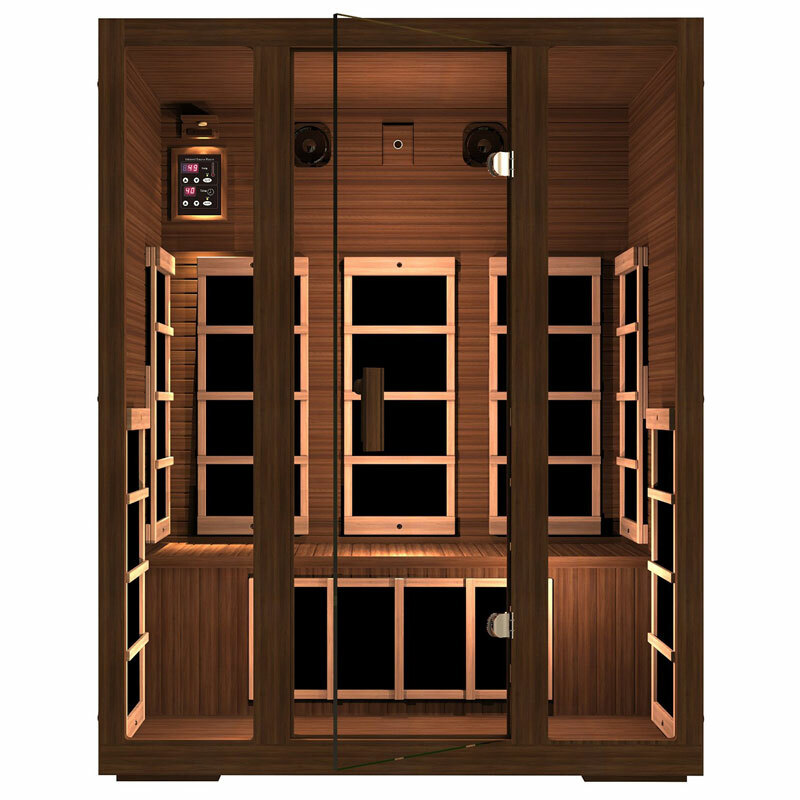 This sauna features 5 zero-EMF commercial grade carbon fiber far infrared heaters that are ETL tested and approved. Like all JHN saunas, this model is made from FSC Certified “Green” Wood. The wood has received no chemical treatment, and the construction is 100% Canadian Hemlock. The door is made of safety glass, and the walls feature glass panels that give the sauna an even more modern look. This model has tongue and groove construction and double panel insulation. These two features make this model highly efficient for retaining heat. It also makes it so that you don’t need to worry about expansion issues. Other features of this model include a digital control panel, built in speakers, and built in LED lighting.